Best Life Media, 9781935127895, 193pp. 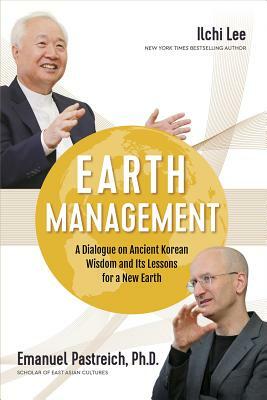 Answers to Today's Pressing Issues from Korea's Hongik Tradition of Empathy Ilchi Lee, a Korean visionary who globalized Korea's mind-body tradition, and Emanuel Pastreich, an American scholar of East Asian cultures, sat together for a conversation on a single question: What we can learn from ancient Korean wisdom that can help us create a more mindful and sustainable life on earth? Their conclusions are illuminated in this book and offer an inspiration for those looking for a new direction in this age of consumption and alienation. How did humanity wander so far off course, and how can we steer ourselves back to a life in harmony with the dynamic biome on which all life depends? The dialogue between these two figures suggests a new hope that small, daily actions taken by individuals can have a lasting impact on the entire planet.